You can now pick up your library holds, return books, or pick up children with a little more peace of mind! There are TWO 15 MINUTE PARKING SPOTS located directly across the street of the Moore Street entrance of the library. 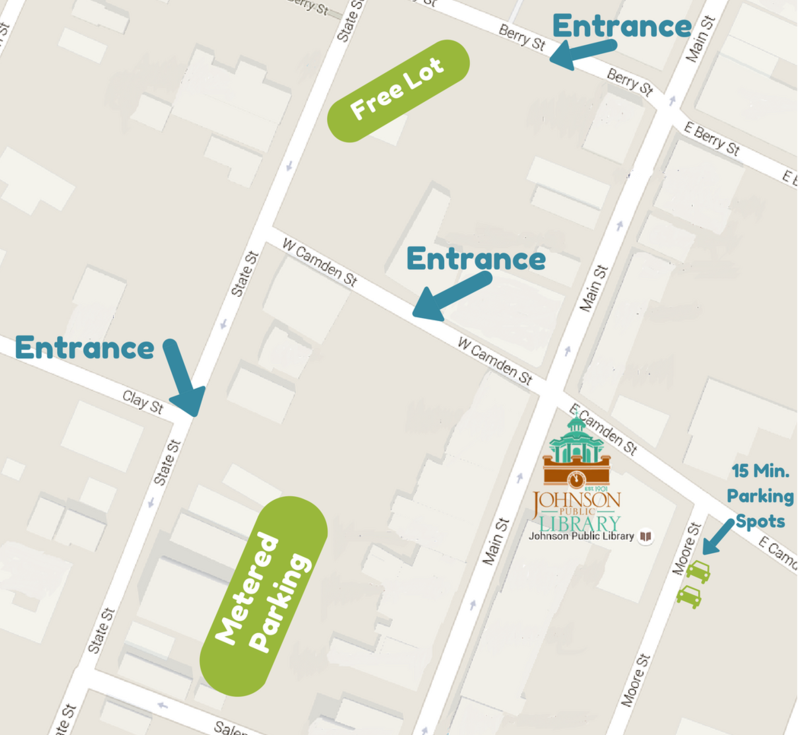 The closest parking to the library is the metered parking on Main Street. There is additional metered parking on Camden Street, between Main Street and State Streets. There is also 2-hour free parking on Berry Street between Main and State. Please be aware, other than those parking spots clearly marked free parking, all meters must be fed from 9:00 AM to 6:00 PM. Hay estacionamiento disponible con parquímetro al frente de la biblioteca por la calle Moore. También hay estacionamiento adicional por la calle Camden, la calle Main, y calle State. Hay estacionamiento gratuito de 2 horas en la calle Berry entre las calles Main y State. Excluyendo las areas claramente marcadas “estacionamiento gratuito,” debe pagar los parquímetros desde las 9:00 AM hasta las 6:00 PM.